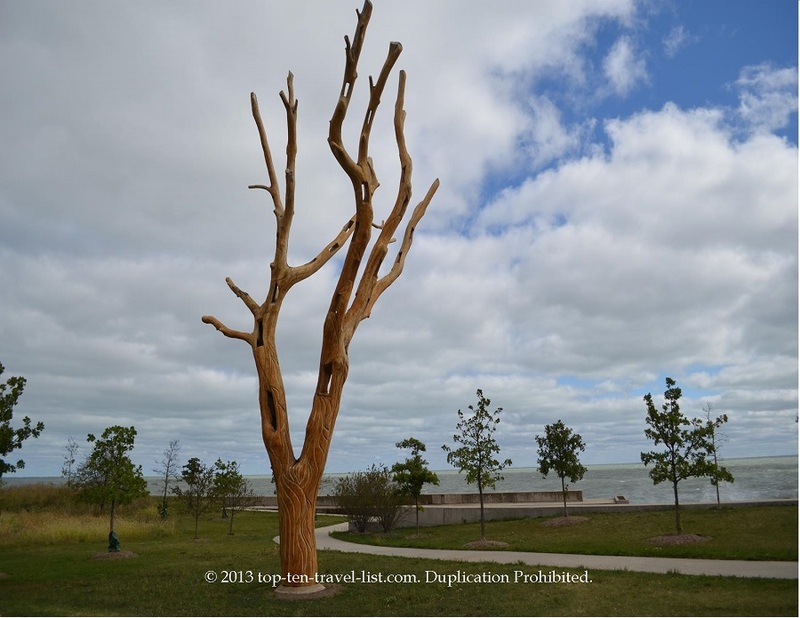 Chicago Lakefront Path: 36 Miles of Stunning Lake and Skyline Views - Top Ten Travel Blog | Our experiences traveling throughout the US. 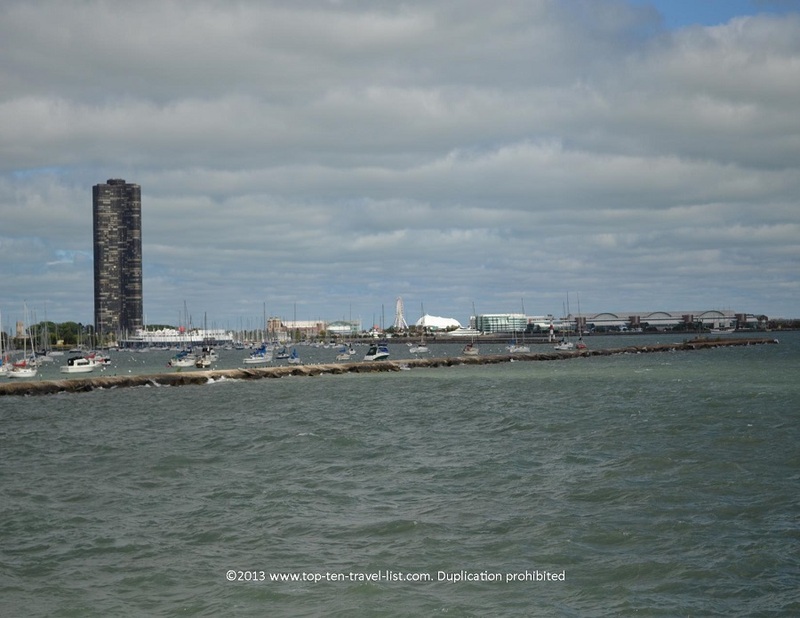 I have always wanted to spend the day riding along Chicago’s magnificent 18 mile long Lakefront Path. Despite living in the city for years, I never managed the opportunity. Most of my visits have taken place during the snowy winter months. 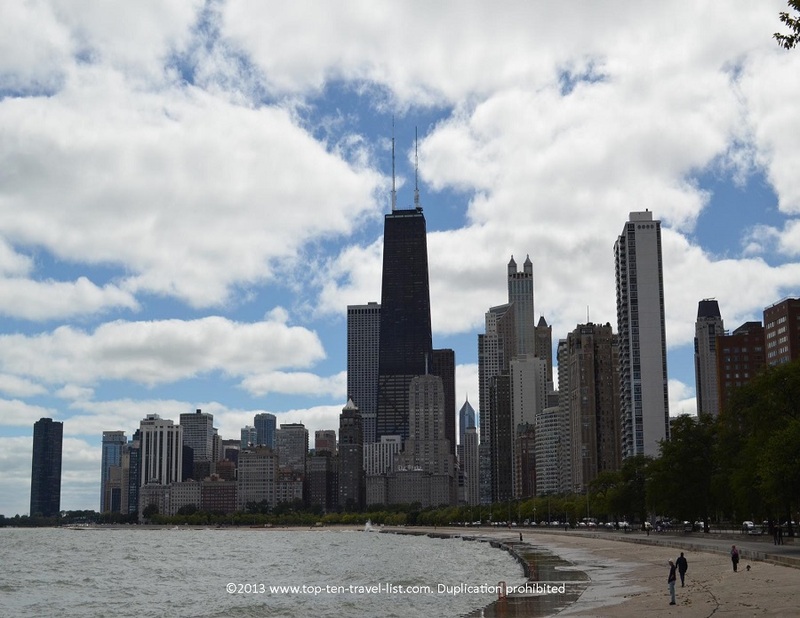 There are plenty of fantastic things to do in Chicago; a ride along the Lakefront Path enables you to visit all these great attractions in a single day! 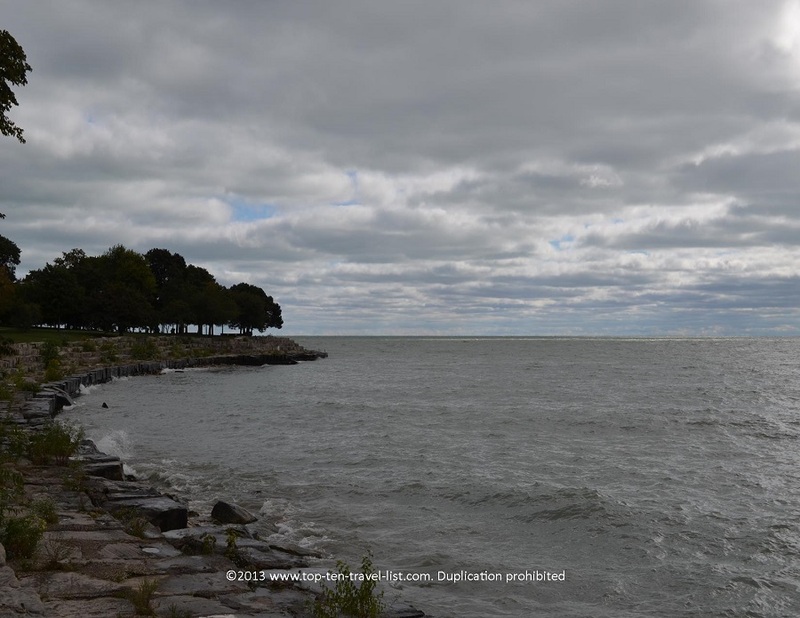 Mike and I decided to finally plan a fall visit to the area, primarily to finally bike the Lakefront Trail. We have walked portions of it in the past, but never got to truly experience the entire length. In my opinion, September is the perfect time to take a cruise along Lake Michigan. The weather is not too hot nor too cold. 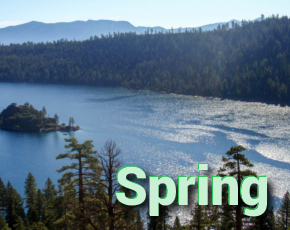 It is also not overly crowded, as is the case during the summer months. I have heard that the path gets extremely crowded during the summer months, making it hard to enjoy the ride. The path is pretty narrow; I can see the crowds being a problem. You have the option of bringing with your own bike or renting one for the day. Bike rentals are very affordable: only $7 for the entire day. Find out more information on rental locations at Divvy Bikes. We parked in a garage around Millennium Park, which is around the halfway point (8.5 miles) of the path. We decided to park here as there was a restaurant we wanted to try in the area. Read my review of Wildberry Pancakes and Cafe – a great pre-biking breakfast! This is a great starting location because there are a lot of restaurants and attractions in this area. You can easily find restaurants on Randolph Street or N. Michigan Ave. Another benefit is the convenient location; just a short walk from the Magnificent Mile, home to some of the best shopping and restaurants in Chicago. We left around 6:30am to take advantage of the cooler temperatures and desolate path. Unfortunately, halfway through the path, the weather became incredibly windy! The return route was much rougher than the first 18 miles. Make sure to check the weather forecast. The path is normally pretty flat and fast, as long as you do not go out on a windy day. The beginning of the ride was incredibly smooth and easy. We barely had to pedal. The way back was a different story! 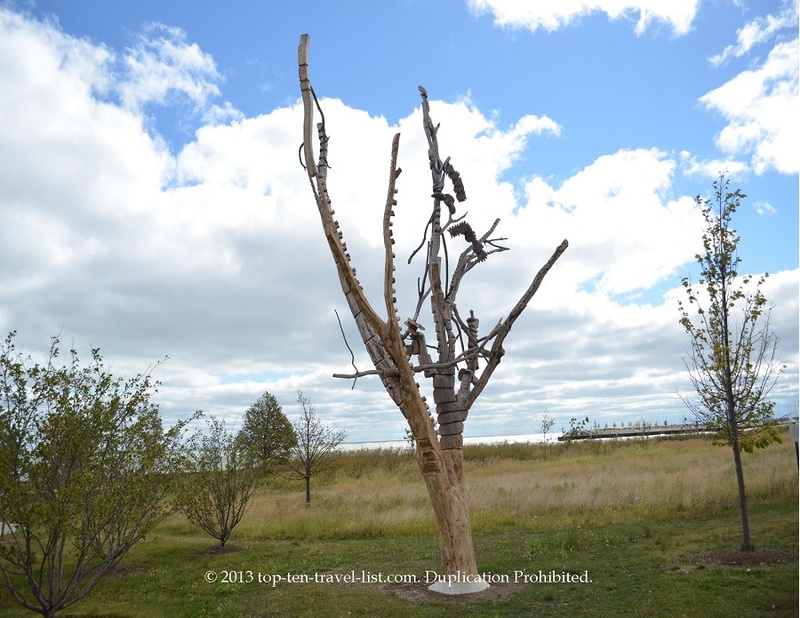 Despite the strenuous ride through the wind, we still enjoyed the magnificent views of Lake Michigan and the skyline. This clean, well maintained path is your best opportunity to take in all the city has to offer. On the path, you will find cyclists, runners, skaters, and walkers. I prefer to bike as it enables you to see more of the city in a shorter period of time. 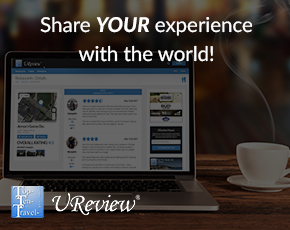 Taking a guided segway tour is another option to look into. I have heard that these tours are worth every penny. Check out Bike and Roll Chicago for information on upcoming tours and prices. 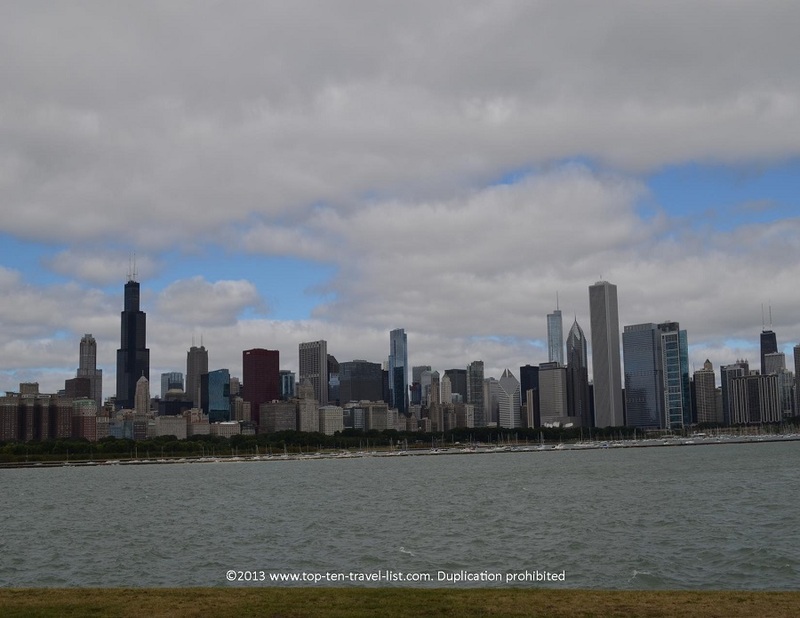 Along the Lakefront Path, you will pass many of Chicago’s top attractions, including: top rated museums, Soldier Field, Millennium Park, Buckingham Fountain, Lincoln Park Zoo, Navy Pier, and more! 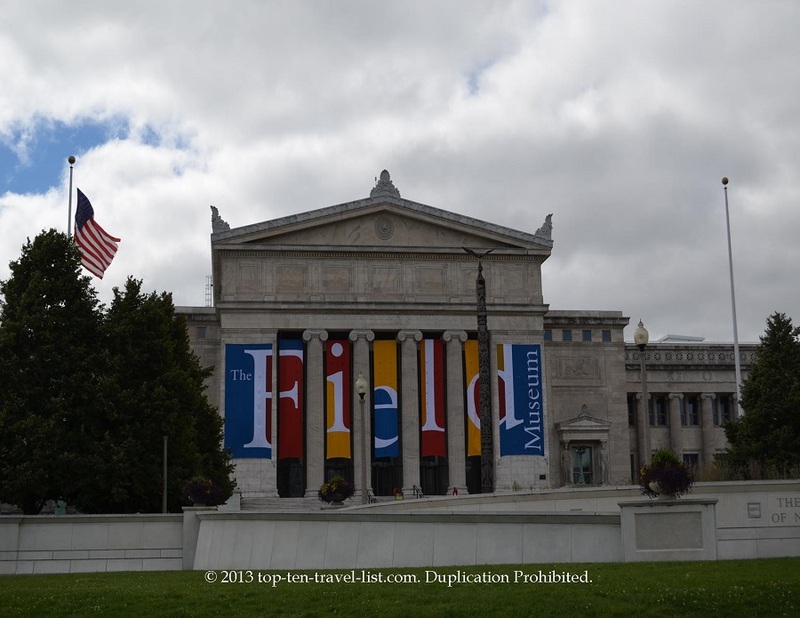 In my opinion, The Field Museum is the must-see museum in Chicago’s famous Museum Campus; the name for the 3 well renown museums located near the lake. If I only had time for one museum, I would definitely pick the Field. 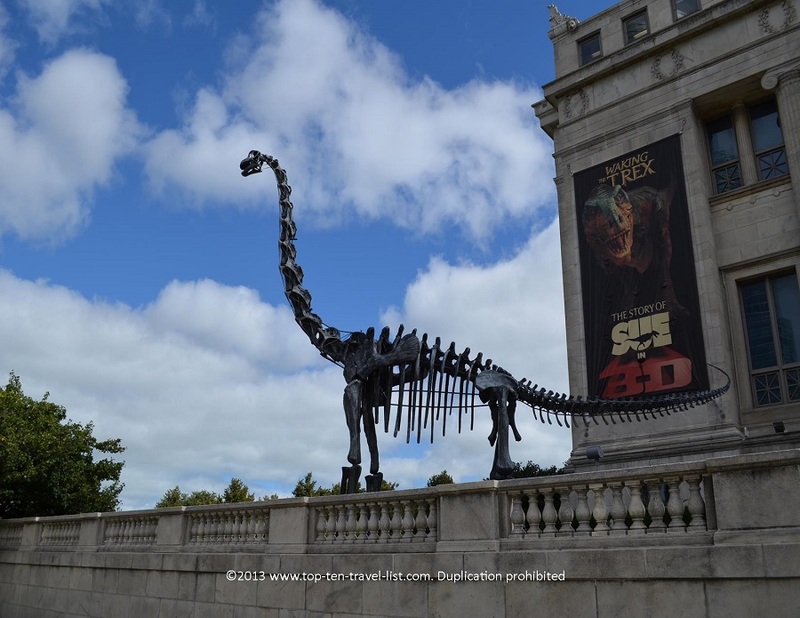 The Field Museum featuring “Sue,” the most complete dinosaur fossil, is highly regarded as one of the best museums in the world. In fact, CNN Travel recently rated it number 2 among their list of the top 10 dinosaur museums. I haven’t visited in a few years, however, the Ancient Egypt mummy exhibit is also outstanding. There is also a really cool dinosaur sculpture outside, which makes for an excellent photo opportunity. The Field Museum would be an ideal spot for a relaxing break after miles of exercise.